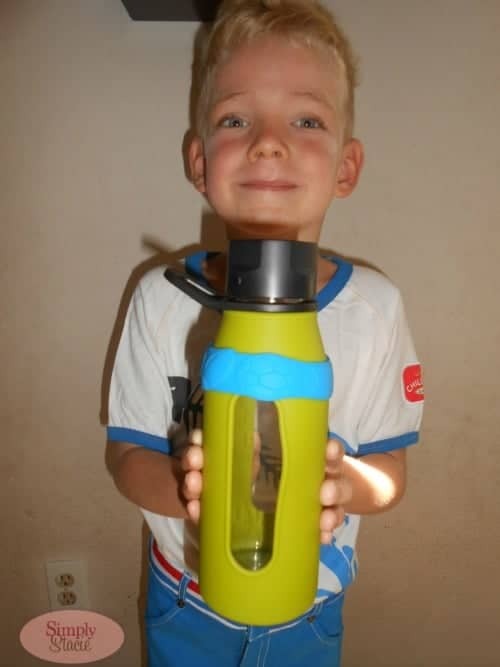 How many sippy cups and bottles have you had become lost and had to be replaced? Whenever my children go to our homeschool co-op or outside clubs and sporting activities, I always notice that there are lots of sippy cups, drinking containers and bottles left behind unclaimed because there were no labels. 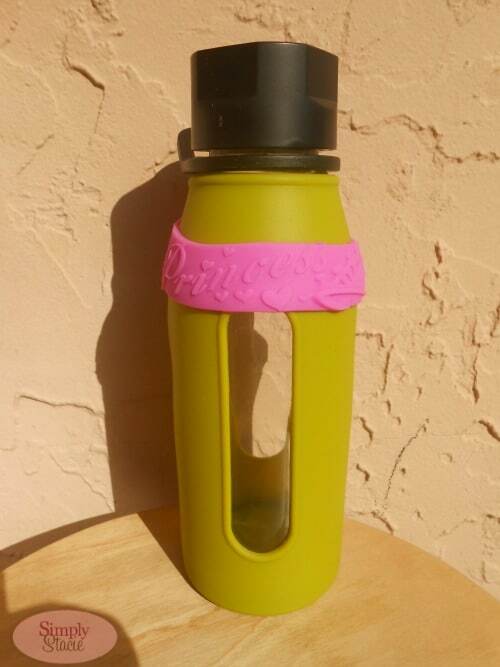 Kidaroo Crew has a unique, effective way of labeling sippy cups, drinking containers and bottles so you won’t have to waste time and money ever again. This labeling system is so easy and convenient to use and includes two products, the Sippy Grab™ and Snugaroos™ Labels. I appreciate that both products are safe for use because it is Phthalate, lead and BPA Free which is very important for any product my children use. How does it work? The Sippy Grab™ ($5.95 for a pack of two) has write-on labels or you can select customization. It is so simple to stretch the product around the container for a snug fit. There is a spacious area where I could write my child’s name and any other personalized information. The vibrant colors and fun designs are appealing to children and the extra grip surface is especially helpful for babies and toddlers who are just learning how to hold their bottle or cup. 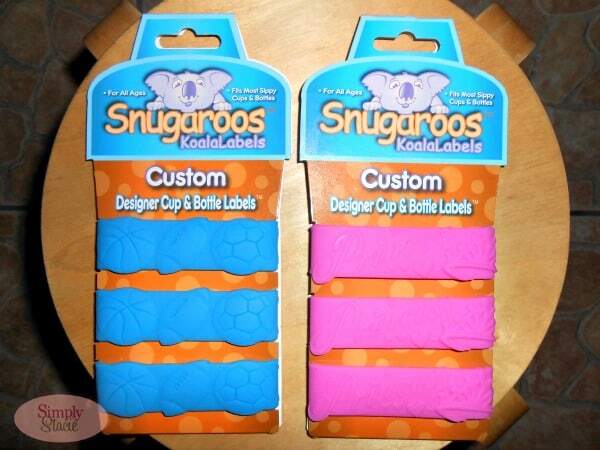 The Snugaroos™ Labels ($8.95 for a pack of three), described as custom engraved 3D designer cup and bottle labels are a significantly better idea that the adhesive labels that I have used in the past and ultimately wear off or smudge and become unreadable when wet or washed. Kids can enjoy fun designs like the “All Star” and “Champions” pack and have their name engraved on the other side. I love that these are dishwasher and microwave safe and are designed to be durable for multiple uses. You are invited to visit Kidaroo Crew to browse the entire selection of Sippy Grab™ and Snugaroos™ Labels. These products are a great idea for back-to-school, sporting activities, daycare, after-school care and clubs. Connect with Kidaroo Crew on Facebook and Twitter. This is the first time I learned about Sippy Grab and Snugaroos! Will check these out, thank you! Very smart! I’m going to give them a look! This is a great idea! Should be more permanent than the labels I have used in past which is handy with two little guys starting pre-school in the fall. It’s great the they are stretchy to fit around any container. That’s a good idea! Another really great feature is that hey are machine washable. These would be good for my grand kids next trip to the community pool or the Y.
I need to tell my sister about these for my nephew! This is such a cute product that he could really use. I like the different colors that are available at Kidaroo. You know a mom had to invent something that is that perfect and needed. What a smart – and pretty – idea! Would be great for the office, too, so none grabs my cup by mistake!